When you think of protective industrial packaging, you likely think of a sturdy wooden shipping crate supported from below by a hefty skid. 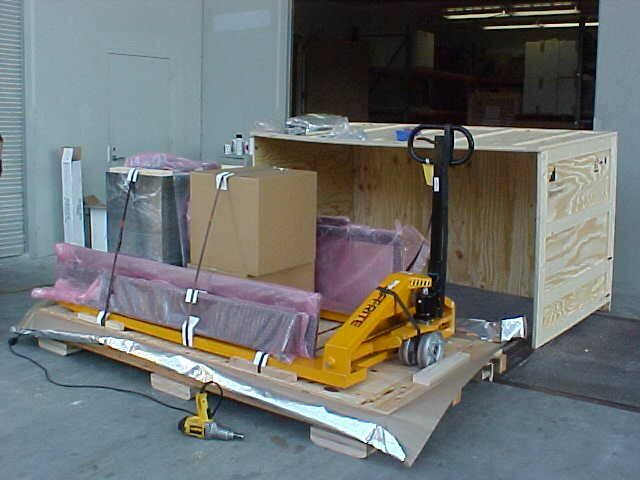 There’s no question that the crate and skid are important elements of any successful shipment. But to see the real heroes of industrial packaging, you need to look inside the crate. The shipping crate is like a shell that safeguards your product from external dangers, such as scrapes, punctures, contaminants, and even the weather. But unlike a baby chick or an oyster, which can shift around unscathed inside their shells, most equipment would not survive if it were left to bounce around inside the crate. Just like the fencing that helps corral cattle on a ranch, wood blocking defines the perimeters of the area in which your product should be allowed to move during shipment. Most often, that perimeter is just a hair wider than the actual footprint of the product. 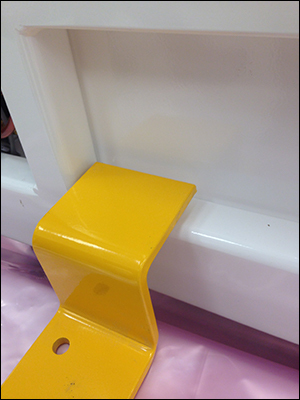 A relatively inexpensive bracing option, blocking is custom-cut to ensure a snug fit. The wood blocks themselves can be as small as the ones you played with as a child, or lengths of timber many feet long. The blocks can be secured to any interior surface (floor, ceiling, or sides of the crate) to help hold your product in place, no matter what direction force is applied to the crate. If you have ever staked a tent down during a campout, you will recognize the value of shipping brackets. 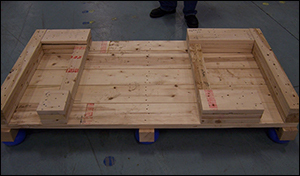 By securing the corners of your product to the floor of the crate, they can drastically reduce any movement inside the crate, especially for low-profile, bottom-heavy products. Creating custom shipping brackets may take a little extra effort, but they can often reduce both the packing and un-packing time for your shipment, as well as the overall cost. 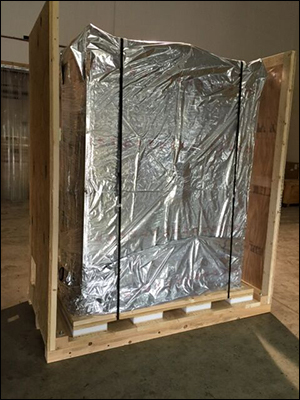 A successful shipment relies on at least two layers of protection: The protective shell of the crate and skid, plus the blocking, strapping, or brackets that help your product “sit tight” inside the crate. CDC Packaging can design and fabricate those internal bracing components to ensure that your product maintains a safe, consistent distance from the exterior of the crate. Contact us today to learn how we can help protect your package from the inside out.